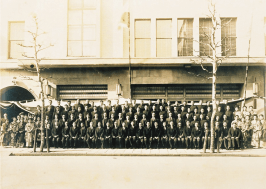 Company History : Takisada-Nagoya Co., Ltd. 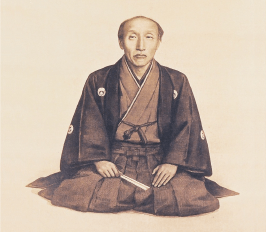 In 1864, Sadasuke Taki Senior left his hometown, Higashinomura Village (Niwa District, Owari Province), and moved to the town of Higashiman-cho in Nagoya. worked as a kimono and fabric wholesaler. 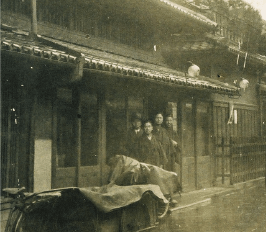 Sadasuke Taki divided his assets into three sections: kimono wholesale business, financial service business, and real estate investment. Sold Kyoto-style kimonos, Kanto-style kimonos, and locally produced fabrics. Established the Nagoya Bank (one of the predecessors of Tokai Bank, now merged into MUFG Bank, Ltd.) together with Hyoemon Taki. Sadasuke became the president of the bank. Established Owari Textile Company (one of the predecessors of Toyobo Co., Ltd.) together with Hyoemon Taki and appointed Masaka Okuda as its representative incorporator. Established the Kyoto branch office. 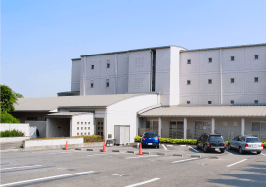 Started the manufacturing division by establishing the Kinusadashoku Factory (Nishishin-cho,Nagoya). Sadasuke was elected as a board member at the first board member election for the Nagoya Chamber of Commerce (7 out of its 35 members worked in the textile industry). Moved Kinusadashoku Factory to Toneri-cho and changed its name to Nagoya Weaving Limited Partnership Company. Established Teikoku Textiles Co., Ltd. together with Hyoemon Taki and Joemon Kasugai. Established Sanryusha Limited Partnership Company (a yarn-making factory) together with Momozo Taguchi and Yasuhei Mogi. Invested in Gifu Silk Fabrics Co., Ltd. Established the Takisada Banking Division Regulations and Takisada Trade Division Regulations at the first executive board meeting. The Banking Division was later renamed Main Business Division. The Trade Division later became part of Takisada Partnership Company. Formed a kimono sales group (Gofuku Ichibangumi) with ten leading wholesale businesses in Nagoya. Held a pledge ceremony where Sadasuke established the Taki family precepts. Sadasuke Taki Senior died, aged 58. His eldest son, Shotaro, succeeded to the lineage and took the name Sadasuke Taki. Established Takisada Partnership Company and its Osaka branch office. Established Export Division at the Osaka branch office. Visited a number of cities in the United States. Sadasuke Taki Junior traveled around twelve European and American countries. Went on a business trip to Korea. Sadasuke Taki Junior became the managing director of the Nagoya Bank. Established Korea Enterprise Co., Ltd. Went on a business trip to Taiwan. Osaka branch burned down. Trade Division established at the Nagoya headquarters. Established branch offices in Shanghai and Hong Kong. Closed the Hong Kong branch office. Orders skyrocketed in Nagoya and Kansai regions due to the Great Kanto Earthquake. Exports plummeted due to a financial crisis, which led to a devastating economic depression influenced by the worldwide Great Depression. Closed the Shanghai branch office. Started construction of a new head office building. Completed the new head office building. Established Takisada Shoten Co., Ltd.
Changed the company name to Takisada Co., Ltd.
Lost all 11 overseas offices at the end of the war. Hired new employees for the first time after the war. Wool products took the lead in this period. Transactions with registered trademarks gained momentum, and transactions with official textile products accounted for the majority of the sales volume. Held the first “Meiryukai” (a social event held for the clients and textile related businesses). Completed the construction of a dormitory for single employees at the Nagoya headquarters. Sales volume reached 5 billion yen. Integrated the Kyoto branch office and completed the construction of a new Osaka branch office building. Completed the moving, renovation, and expansion of the headquarters office building. 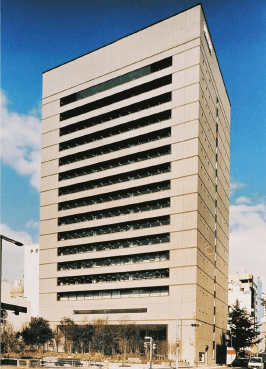 Implemented management innovation at the Osaka branch office and the headquarters. 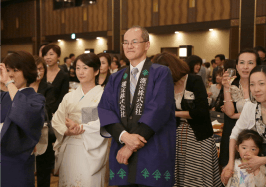 President Junjiro Taki became Vice President of the Nagoya Chamber of Commerce on February 10. Masanosuke Ishida, Managing Director, passed away at the age of 61 on August 19, and Shohei Watanabe became Senior Managing Director. Sales volume reached 10 billion yen. Completed the expansion construction work on the fourth floor of the Osaka branch office building on November 9. Established a Tokyo liaison office of the Nagoya headquarters in Toyoshima-cho, Kanda. Established Takisada American Corporation in New York. Sales volume reached 50 billion yen. Sales volume reached 100 billion yen. Established Nagoya Product Center. Completed the construction of a new Tokyo liaison office building in Hama-cho. Sales volume reached 150 billion yen. Sueo Taki became President on April 1. Sales volume reached 200 billion yen. Established Section One Co., Ltd. Recorded a sales volume of 229.1 billion yen (with a profit of 11.1 billion yen), the largest in the company’s history. Started carrying out business operations in the new Nagoya headquarters building. Moved the Tokyo liaison office to the current location. Celebrated the company’s 130th anniversary. President Kinichiro Taki passed away on June 28. The company split on August 1. Sueo Taki became Chairman and President of Takisada-Nagoya Co., Ltd., and Akihiro Taki became President of Takisada-Osaka Co., Ltd.
Junjiro Taki, Senior Adviser, passed away on May 4. Kiyotaka Taki, Executive Director, passed away on August 19. Masayuki Taki became President of Takisada-Nagoya Co., Ltd. on August 1. Ryuta Taki became President of Takisada-Osaka Co., Ltd. on April 1. Participated at the Intertextile Shanghai exhibition in October to promote our products in China. Switched from an independent accounting system for each department to a division management system. Developed material across the company in January. Established new teams in April, specializing in exports across all departments. Made progress in expanding business in China and achieved good export results of made-in-Japan textiles in June. Expanded production in Southeast Asia in April. Established International Trade Promotion Department Takaro Taki, the honorary Chairman of Takisada-Osaka Co., Ltd. and the honorary Board Chairman of Takisada-Nagoya passed away and a memorial service was held in September. Participated at the Premier Vision exhibition for the first time. Established an Indonesian production site in April in addition to Chinese production. Strengthened the cooperation between divisions and invested in the factory in Indonesia. Sueo Taki, Chairman, passed away and a memorial service was held in September. Production of men’s suits shifted to ASEAN countries in May. Created a ten-year plan for globalization reorganization in June. Expanded our production and sales network to China and ASEAN countries in August. Held a celebration ceremony for the 150th anniversary of Takisada in May. Participated at the Milano Unica exhibition for the first time in February. Established Takisada Europe B.V. in Amsterdam in September. Established the Material and Fabric Department in October. Acquired 100% ownership of the men’s suits production factory in April, and established TAKISADA(CAMBODIA). Established TAKISADA(VIETNAM) as our Southeast Asia office in January. Kentaro Taki became President of TAKISADA-NAGOYA Co., Ltd. on August 1.